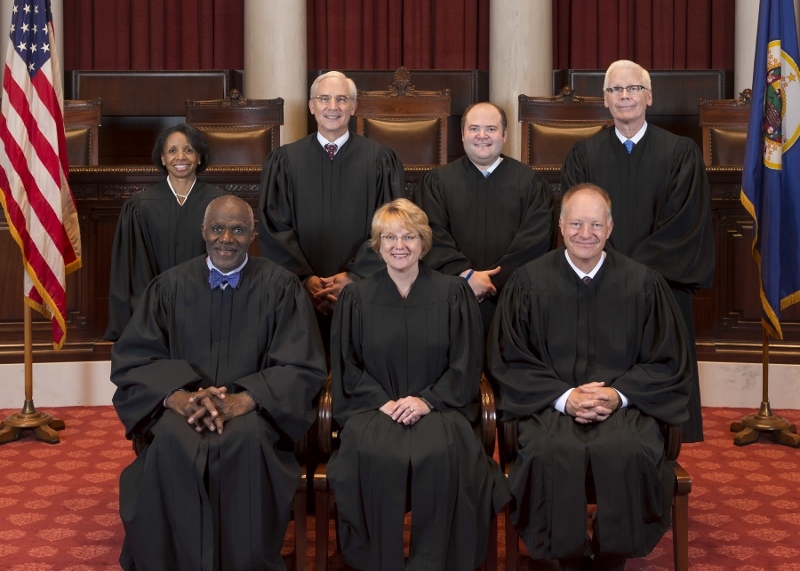 Supreme Court Upheld (Gender) Discrimination, Again. Imagine the scenario where an employer finds it in violation of his (religious) belief to hire female employees – let’s call it the gender issue – the most likely outcome is predictable, right? Of course, it is. It would be classified as gender discrimination. Imagine another scenario where the same employer, faced with no choice in the matter of gender hires, decides (for religious belief, wink! wink! )to provide male employees with birth control prevention coverage but denies females’ with the same coverage. Well, you don’t need to imagine that. Hobby Lobby, one of the plaintiffs who has challenged the Obamacare Birth Control Mandate all the way to the Supreme Court, provides Vasectomy coverage for its male employees but refuses (for religious belief) to provide Contraceptive coverage for female employees. ** A vasectomy prevents the release of sperm when a man ejaculates; it is a permanent method of birth control (for men). **Vaginal Contraceptive kills the sperms before reaching the ovaries; fertilization never occurs. In light of the Supreme Court ruling that some employers can refuse Obamacare birth control mandate, it seems appropriate to put in perspective the ruling as well as the companies that objected to the mandate. By a vote of 5-4, the Supreme Court handed victory to business owners who find it unconstitutional – and against their religious belief – to be mandated to pay coverage for birth control for their employees. The mandate is a very small part of the Affordable Care Act (aka Obamacare), signed into law in March 2010, that’s been fiercely challenged shortly after the Supreme Court upheld its constitutionality in June 2012. Notwithstanding the fact that those on the Right (the Republicans) would rather do away with Obamacare completely, the victory is mostly symbolic although it will undoubtedly be celebrated as a major victory. It is nevertheless much ado about nothing. The main plaintiffs which have challenged the (Obamacare) mandate – in the cases Burwell v. Hobby Lobby and Conestoga Wood v. Burwell, U.S. (Supreme Court, No. 13-354, 13-356) – are two privately held companies. As such, the owners have the flexibility to force their wishes unto their employees (within the boundaries of the law of course) without any legal repercussion. For instance, they may decide NOT to provide health insurance coverage at all – well, before Obamacare – but they cannot decide NOT to pay overtime as defined by the Dept. of Labor. Hobby Lobby, one of the two main plaintiffs, is a Retail Chain Stores of arts and crafts headquartered in Oklahoma City, Oklahoma; founded in 1972, Hobby Lobby has over 560 stores according to a 2012 report. Forbes magazine reported that Hobby Lobby’s 2011 revenue was $2.28 billion dollars; the retail chain stores sport 21,000 employees across several states. Conestoga Wood of Pennsylvania, the other plaintiff, is a manufacturer of wood doors and components for kitchen, bath and furniture. According to the company website, it started in 1964 in Lancaster County, PA. An InsideView 2014 report puts the number of employees at 2,000 and its revenue at $409 million. It is understandable that any individual has the right to his/her religious belief but the Supreme Court, with the ruling, has failed to apply the most “logical rationale” – pardon the redundancy – that such person cannot and should not force his/her belief on others, some of which are that individual’s employees. When the rights of one individual are seen as more important than the rights of a majority, it is a facet of fiefdom that should no longer apply in modern era, much less so here in the United States. Those nine Justices who are entrusted to shape the country, our lives, our future have proven for more than two decades now that they’re no longer capable of applying simple logic. It is perhaps time for an overhaul of the Supreme Court.